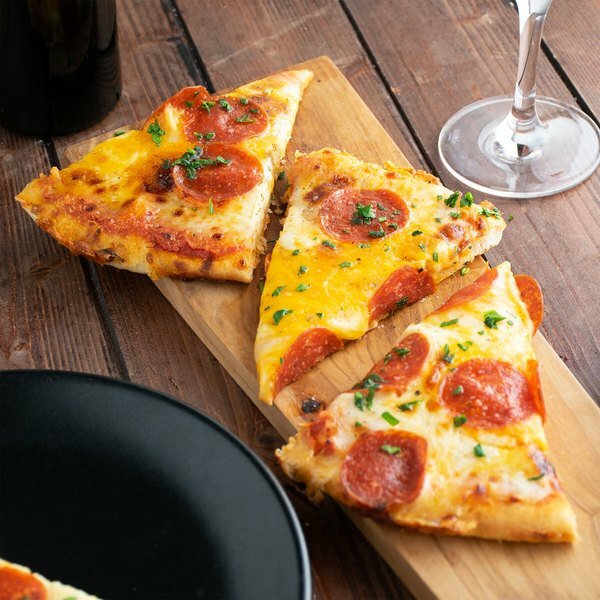 Create a delectable, savory dish with this Patrick Cudahy Pavone sliced pepperoni. It features an appealing brick-red coloring with a classic taste and balance of sweet and savory tones. The unique spice blend also accentuates the meat and creates a true pepperoni flavor with a slightly zesty kick. Pre-sliced to reduce prep time and labor costs, this pepperoni is great to add as a topping on your classic pepperoni or meat-lover's pizza, a gourmet pepperoni grilled cheese, or an Italian pasta salad to feature at your deli. This pepperoni also makes a great addition to any cheese board at your bar or cafe; pair with parmesan, gouda, or cheddar for a savory snack for your customers. 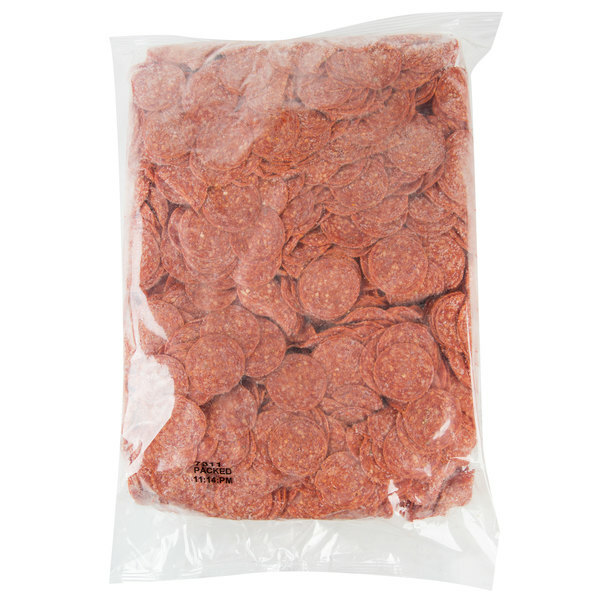 Using a century-old process, this pepperoni is made with only the finest cuts of pork and beef, and expertly seasoned, cured, and slowly dried to deliver a fresh, authentic Italian flavor. It resists cupping, charring, and grease-out making it great to use in a variety of cooking applications. You're also sure to have an ample supply on hand, with each bag containing approximately 14-16 slices per ounce. For best results, keep this pepperoni refrigerated in order to maintain its quality. Customers are sure to love the flavor profile these pepperoni slices create when added to their meal! Patrick Cudahy, an Irish immigrant, founded the town of Cudahy, Wisconsin in 1892 around his rotary smokehouse created in 1888. Patrick Cudahy bacon, home of sweet apple-wood smoked bacon flavor, still uses the original recipes for its bacon that it used in 1888. Its premium meats and specialty products continue to uphold the legacy started by their founder, as well as their small town values and a uniquely delicious taste in every product they make, which has been the cornerstone of their success for over a century. 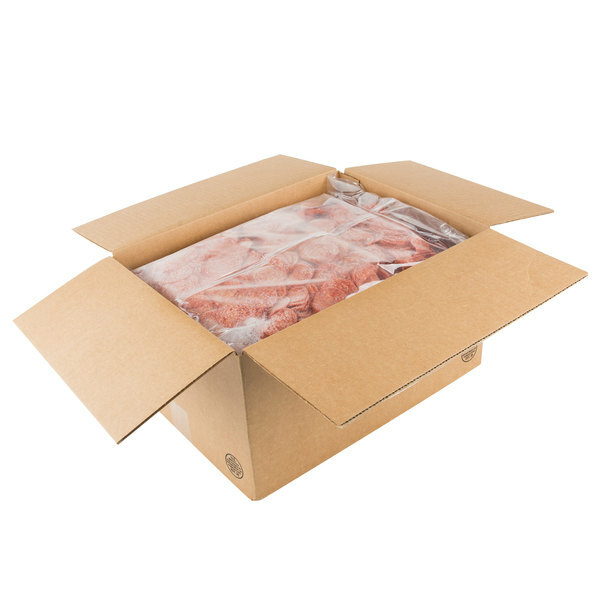 Supply the best for your establishment with Patrick Cudahy meats.